Home / Black Mormon History / Did Pres. 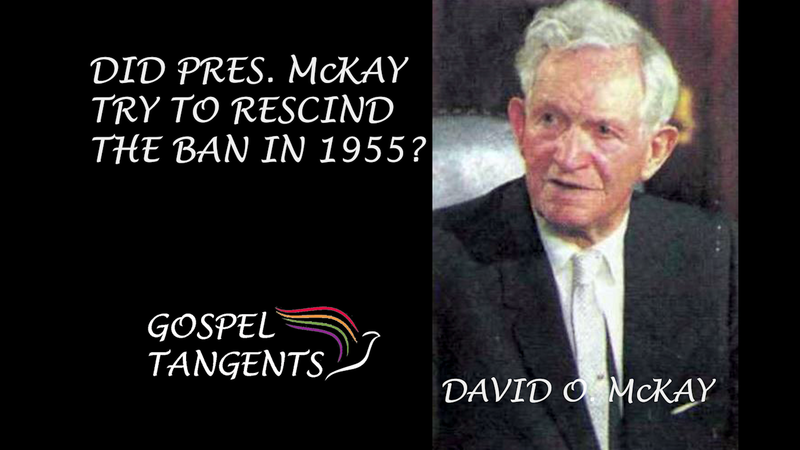 McKay Try to Rescind Ban in 1955? Previous post: Where, When, & Why Did the One-Drop Rule Originate? Next post: Hugh B. Brown’s Attempt to End Ban in 1962!